Papel Chicano Dos: Works on Paper from the Cheech Marin Collection, presents 65 artworks by 24 established and early-career artists whose work demonstrates a myriad of techniques from watercolor and aquatint to pastel and mixed media. Featured artists are Carlos Almaraz, Charles “Chaz” Bojórquez, Pablo Andres Cristi, Carlos Donjuán, Gaspar Enríquez, Sonya Fe, Emmanuel Galvez, Margaret García, Roberto Gil de Montes, CiCi Segura González, Raúl Guerrero, Roberto Gutiérrez, Adán Hernández, Benito Huerta, Leo Limón, Gilbert “Magu” Luján, Cesar A. Martínez, Glugio “Gronk” Nicondra, Wenceslao Quiroz, Frank Romero, Sonia Romero, Ricardo Ruiz, John Valadez, and Vincent Valdez. Dating from the late 1980s to the present works in Papel Chicano Dos offer iconic imagery with influences ranging from pre-Hispanic symbols and post-revolutionary nationalistic Mexican motifs to the Chicano movement of the 1960s and contemporary urban culture. 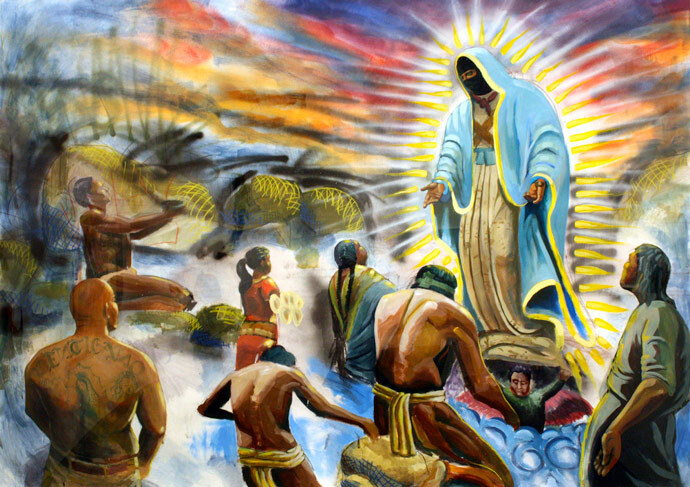 The visual arts were integral to the Chicano movement and continue to be a powerful tool for Mexican-American and Chicano communities to voice the issues that affect them today. Works in the exhibition include a focus on activism--highlighting how Chicano artists provide access to the arts by creating posters, flyers, printed statements, and newsletters with elaborate aesthetic compositions and designs. By the late 1970s and early 1980s, Chicano artists were creating iconic images that transcended their activist function and defined the iconography of a movement. Actor and art collector, Cheech Marin discusses his remarkable Chicano art collection. 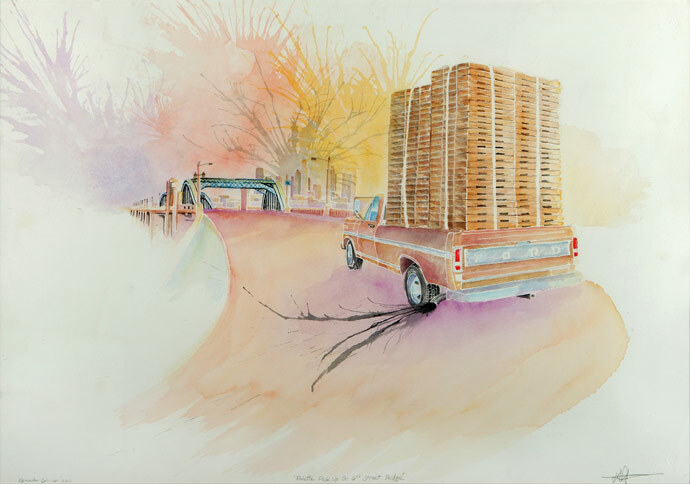 Marin's collection was featured in the exhibition "Papel Chicano Dos: Works on Paper from the Cheech Marin Collection" previously on view at the University of Wyoming Art Museum, September 23- December 16, 2017.